It’s nice to be reviewing another Nissan. I like those machines that are built to take the longer way home, so exploring the back roads is what the new Nissan X-Trail Diesel is all about. A solid performer with plenty of room and nice comfortable seats makes the trip enjoyable, and with AWD in the offering you can explore a whole lot more territory than in a 2WD alternative. Nissan has designed a nice looking SUV with the X-Trail’s smooth lines and spacious body. 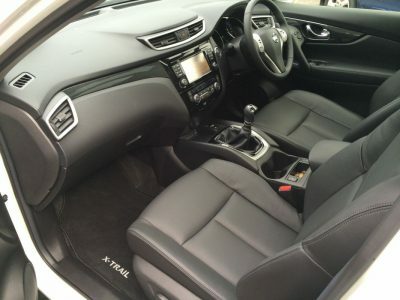 Diesel is a popular choice for those who appreciate lower fuel consumption and plenty of torque. The new Nissan X-Trail Diesel has both of these attributes, so-much-so that the driving experience is one that you want to experience over and over again. Delivering a combined fuel consumption of less than 6.0 litres/ 100km, the super-efficient diesel powertrain is further enhanced by Idle Stop/Start technology to improve fuel economy and reduce CO2 emissions. 2WD and 4WD models are available but the one thing in common is the excellent new 1.6-litre turbo diesel engine. A peak power output of 96 kW at 4000 rpm and a maximum torque of 320 Nm from 1750 rpm is more than adequate in the real world. 4WD engine response is much the same as the 2WD, and both versions are long-legged and relaxed on the open road. The main difference between the 2WD and the 4WD power plants is that the 2WD puts the power down via the seamless CVT unit, while the 4WD gets the very well-matched 6-speed manual transmission. Making things easy, the Nissan X-Trail Diesel SUV is loaded with technology. Standard across the range is NissanConnect which uses hands-free technology together with your smartphone to help you stay in touch with the outside world. The system comes with loads of features and comes with apps such as Pandora, Online search powered by Google and Facebook. Staying in touch with friends, organising your trip and client base, or finding the best route that isn’t congested are features that make the likeable X-Trail even more so. An automatic fifth door makes access to the loading platform easy as. Comfort starts with the seats and continues with how the vehicle rides. 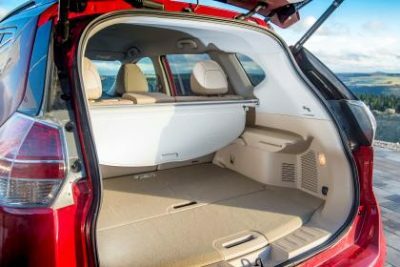 Offering spacious seats that are supple and supportive, good levels of leg, head and shoulder room, and a comfortable chassis with lots of travel helps the Nissan X-Trail Diesel SUVs be enjoyable to travel inside. Air-conditioning and a strong sound system add to the relaxed feel of the X-Trail. From the driver’s seat you get a great view of the road ahead, and via the touch screen in the middle of the dash you can also get a comprehensive view around the vehicle. Once reverse is selected, the screen uses the rear camera to bring up a view of what’s behind you. Parking sensors are available to make the whole job easier when manoeuvring around tight parking lots. Out on the open road, the X-Trail Diesel SUV is smooth and power delivery is muscly. The six-speed manual is my pick, mostly because I don’t mind manually operating the gears and also I like the 4WD option. The gearbox is a good one and matches the engine’s torque curve nicely. Solid road holding backs up the nice ride, and the blend of performance and handling, along with strong stopping power, is great. Nissan’s joint partnership with Renault has ensured the safety side of things is very strong. The Nissan X-Trail is a safe SUV providing a comprehensive list of safety equipment that includes items like: front, side and window airbags, the latest active safety features and twilight detecting headlamps. The TL versions add some premium safety features like Lane Departure Warning, Blind Spot Warning and Moving Object Detection. Take the 4WD version off the road, and the traction is admirable. Just watch the lowish front air dam doesn’t get damaged by anything too bony. Mud, sand, snow and gravel are all taken care of with Nissan’s excellent al- terrain system. You’d be doing some pretty hairy stuff to get stuck in one of these, but then maybe I shouldn’t put that past you! 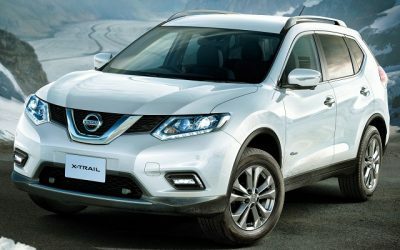 For any more information on the Nissan X-Trail Diesel SUV models or, for that matter, any other new car, contact one of our friendly consultants on 1300 303 181. If you’d like some fleet discount pricing (yes even for private buyers! ), we can submit vehicle quote requests out to our national network of Nissan dealers and come back with pricing within 24 hours. Private Fleet – car buying made easy!